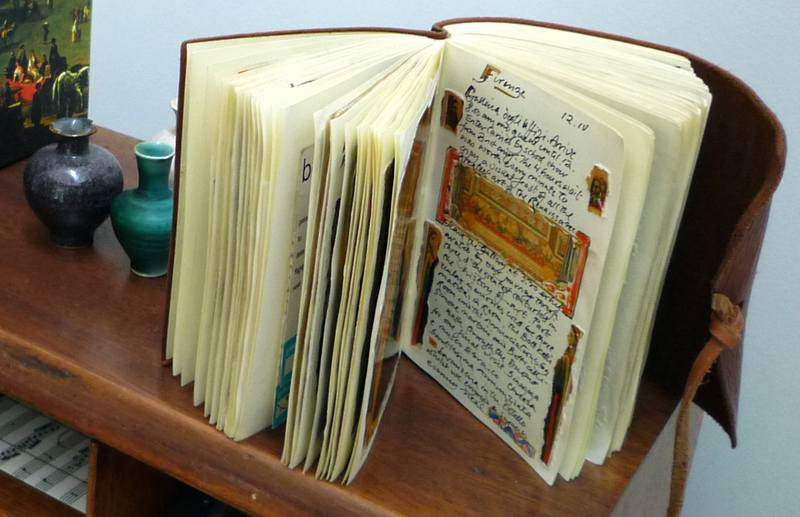 For this week’s Discover Challenge Krista asks us to “get inspired by illustrated journalling”. 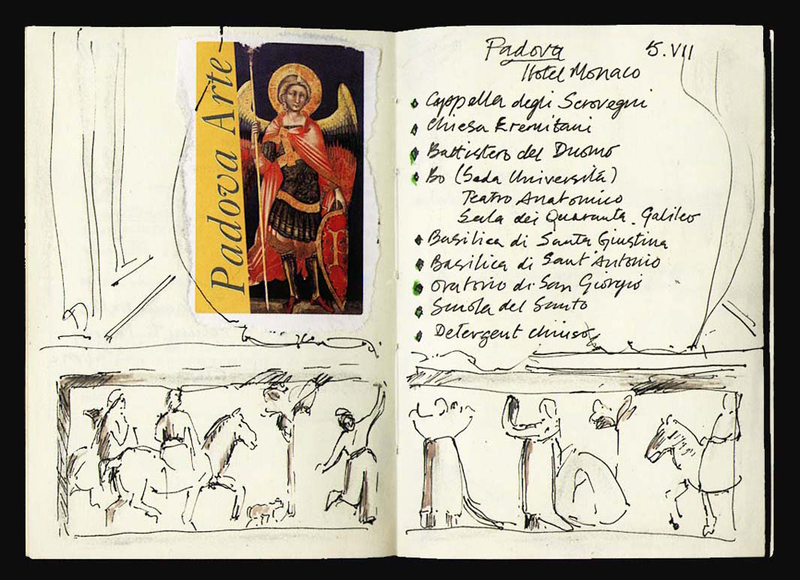 From time to time in my blog I have dipped into one of my prize possessions, an illustrated journal I kept throughout our travels in Italy and Greece during 1999 and 2000. If you are interested in seeing other postings from the journal just search “journal” in the search box at the foot of the page. 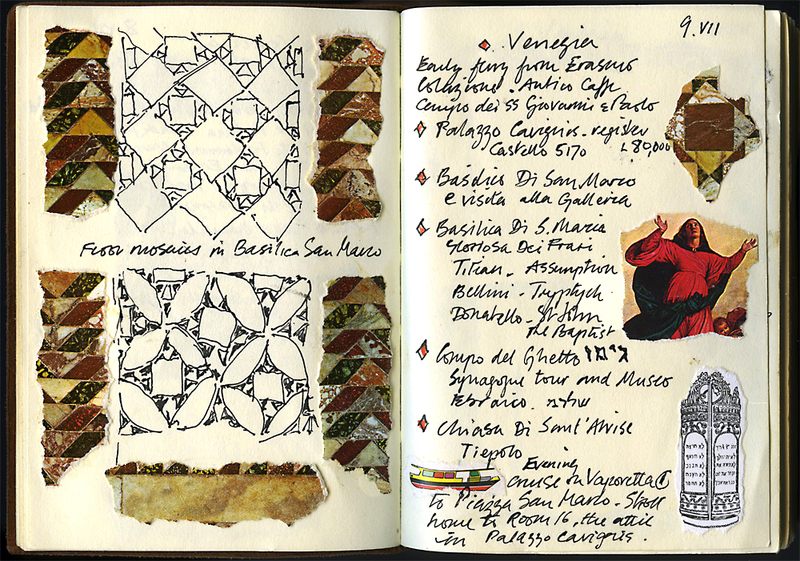 love the journal, with your sketches, patterns and illustrations Andrew. Gorgeous! 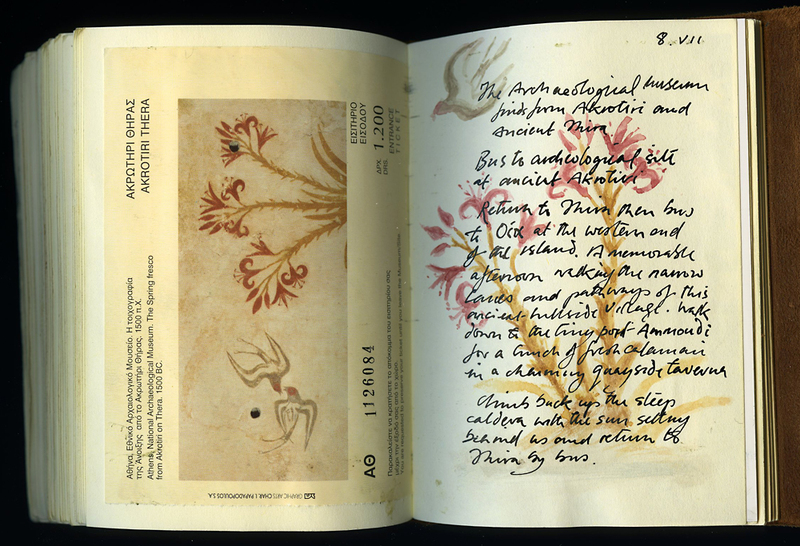 What a beautiful journal- I can see why you treasure it. 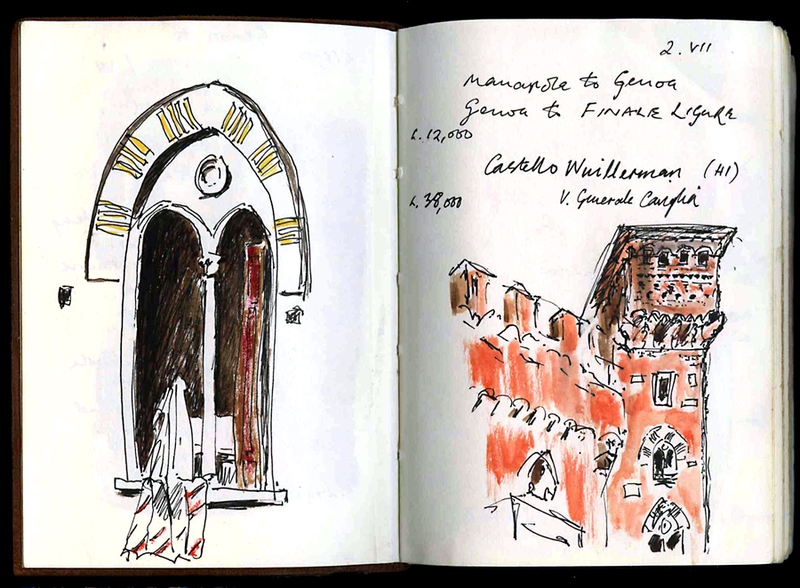 I love to journal and I love to draw, why have I never put the two together into a beautiful treasure like yours? A perfect way to keep your memories of a trip alive.